​The Western Australia Irish Famine Commemoration (WAIFC) committee was formed in 2016, our mission was to establish a memorial to the Irish Famine of 1845 to 1852 and the resulting direct connection to the early colonial history of Western Australia. It was initiated by Fred Rae who was joined by Jim Egan, Sean McDonagh and Vince Gallagher. Our first meeting was held on Monday the 14th of November 2016. We were then joined by Sheila Murphy on the 25th of May 2017 and then by Peter McKenna on the 28th of June 2017. 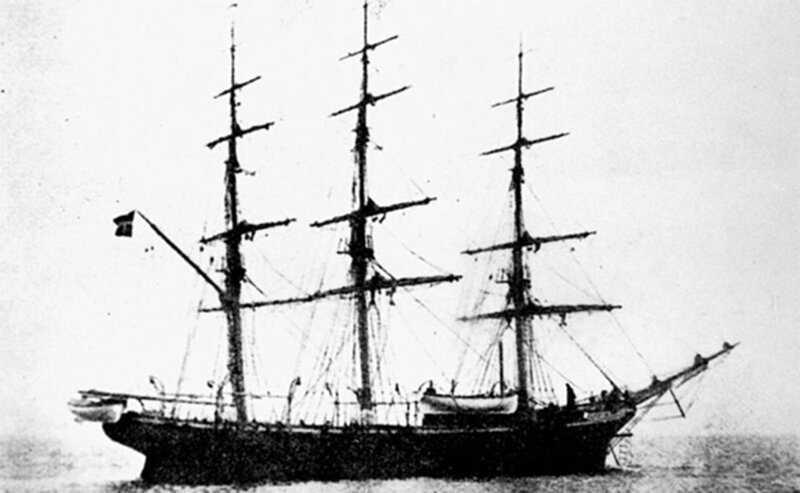 Connection: The good ship ‘Palestine’ preparing to sail from for Australia with orphan girls in 1853. The Irish Famine was a period of mass starvation, disease, and emigration in Ireland as a result of colonial rule and a potato blight disease which devastated crops over a period of successive years between 1845 to 1852. By the early 1840s almost half the Irish population—but primarily the rural poor—had come to depend almost exclusively on the potato for their diet.As a direct consequence of the famine, the Irish population fell by approximately 25 per cent, with the death of up to one million people, and emigration of a further two million Irish souls. The WAIFC committee sought to recognise and commemorate the young Irish females who were assisted to emigrate to Western Australia following the Irish Famine on board the barque sailing ships “Travancore” and the “Palestine”. On the voyage were 300 female passengers, aged between 14 to 23,records note that they had to be suitable, to be of good character and be of good health. During the early period of British colonisation in Australia it was estimated that there were nine men to every woman.Supporting the rationale for the young Irish women’s emigration to the new Swan River Colony of Perth Western Australia was that the women would provide labour, marry, have children, effectively helping to colonise and populate Western Australia. Over 4000 Irish females are estimated to have similarly supported to emigrate to Australia. The WAIFC committee’s specific purpose was to highlight this female historical connection, acknowledging their history had become forgotten after they left Ireland and arrived in Western Australia. The committee’s intent was to raise West Australian’s awareness to the contributing historical situation and social issues in Ireland connecting and subsequent influencing the role these Irish women provided in the early establishment of the Swan River Colony in Western Australia. The WAIFC committee was established with the goal and purpose to research the history of this period of emigration and to establish recognition for these women’s historical contribution to Western Australia. We set to memorialise and tell their story through the use of an artifact of the women’s journey, a travel box. The memorial travel box concept developed recognizing that for many of the female emigrants traveling to foreign shores to start a new life away from Ireland such boxes contained all their worldly possessions and memories. The young women had been provided with items of clothing made and paid for by the poor law unions. The purpose was to ensure the women would have a good start when they landed in their new country. The memorial travel boxes that were recreated today were made by the prisoners of Arbour Hill Prison in Dublin, Ireland. The Western Australia Irish Famine Commemoration committee were able to present three memorial travel boxes. ​Our first travel box was presented in York, Western Australia on the 8th of May 2016 in memorial to Ms Mary Ann Taylor from County Galway. The second travel box was gifted to Bunbury Western Australia on the 20th May 2017 in memorial to Ms Bridget Mulqueen from County Limerick. The third travel box was presented to Dardanup Western Australia on the 21st May 2017 in memorial to Ms Elizabeth Carbury, from County Galway.